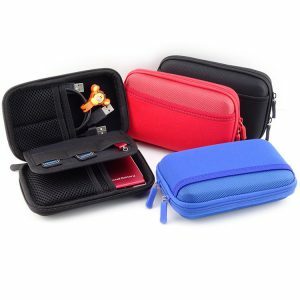 4 small mesh pockets to hold USB Drive, 2 Easy access mesh pockets expand to store multiple sizes of USB drive, card, cables, etc. 1 elastic loop in the middle for pen or small cable. 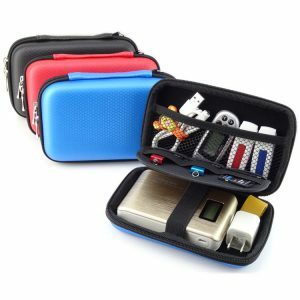 Universal Shockproof Hard Carrying Case For 2.5” SSD, Portable External Hard Drive, Power Bank, USB Flash Drive, Cables and other small Electronic Accessories etc. 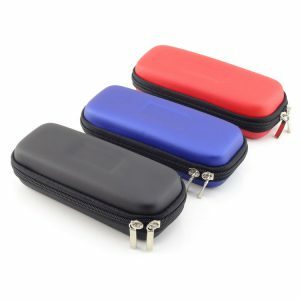 External Size: 6.1” x 3.62” x 1.65” / 15.5 x 9.2 x 4.2 cm; Internal Size: 5.7” x 3.35” x 1.38” / 14.5 x 8.5 x 3.5 cm. Using the EVA technique and material to give more protection. The inside is built in with a mesh to keep storing your small accessories to keep your hard drive . Helpful when out of the door, for a travel or vacation. Small pouch bag case make it easily stored on your backpack or bag purse with all your personal small accessories. 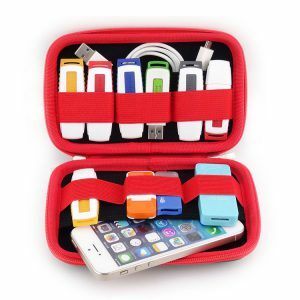 Perfect to keep cables, USB flash drive, hard drive, power bank etc. It is shockproof, water resistant and heavy duty. You could made it a USB flash drive case, hard drive case, power bank case, cables case ect. External dimension: 17.5 * 6.5 *5.0cm. Internal dimensions: 16.5 * 5.8 *3.8 cm. 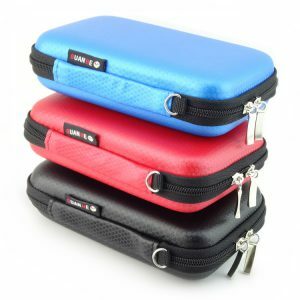 # Made of Waterproof, Shockproof, Heavy-duty and Durable Material to Made the Case a Qualified Helper in Your Life. # Multiple Easy Access Mesh Pockets Enables Different Size USB Flash Drives and Lines ETC; Card Holder Position Enables Credit Cards or Coins; Hard Drive Position Enables Hard Drive Storing. # Helpful when out of the door, for a travel or vacation. 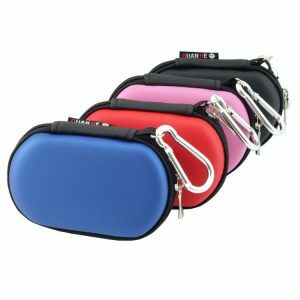 Small pouch bag case make it easily stored on your backpack or bag purse with all your personal small accessories. 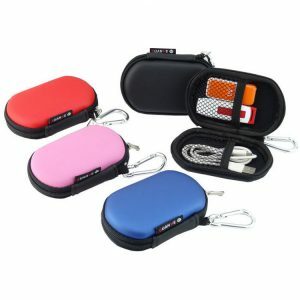 # External Size: Length * Width * Height = 17.5cm * 10cm * 4.2cm; Internal Size: Length * Width * Height =16.7cm *9.5cm * 3.5cm. 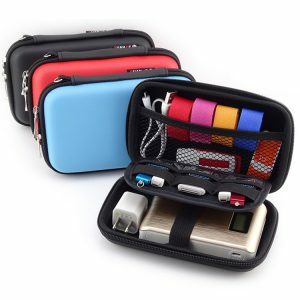 # Also as a must-have for organizing accessories organizer, and great for travel. Also comes with USB Flash Drive Shutter/ SD Cards/Cables /Earphone / Portable Power Source / Power Bank / Coins / Cash / Game Console / Pen / Card / Key / Smart phone / DC / GPS / etc. Using High Quality Nylon Material and EVA Technique to Make it More Protective, Waterproof, Shockproof and Dust-reject. 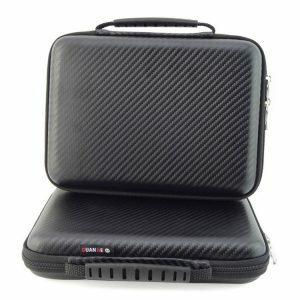 The inside is built in with a mesh to keep storing your small accessories to keep your hard drive and etc . External Dimension: L14 x W10 x H4cm . Internal dimensions: L13.0 x W8.5x H3.5cm . 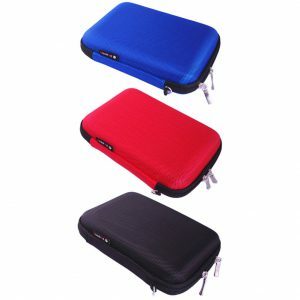 Compact Design, Easily to Be Carried in your Bags, Briefcases or Backpacks. Using the EVA technique,Classic and Portable Design hard shockproof material surface has a layer of silk cloth, looked very bright. It is shockproof, water resistant and heavey duty. 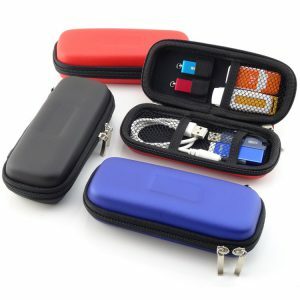 You could made it a usb flash drive case, hard drive case, bankcard case, cables case or put other accessories under the case. The inside is built in with a mesh to keep storing your small accessories to keep your hard drive. Helpful when out of the door, for a travel or vacation. Small pouch bag case make it easily stored on your backpack or bag purse with all your personal small accessories.Perfect to keep cables, USB flash drive, hard drive, power bank etc. 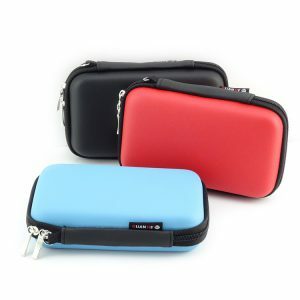 External Size: L18 * W12 * H4.5 cm; Internal Size: L 17 * W11 * H 3.6 cm. 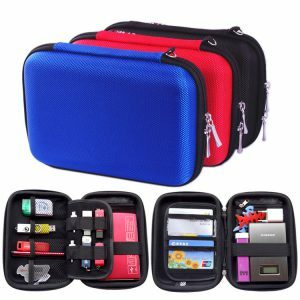 Portable Universal Wrap USB Flash Drive Bag Case / Hard Drive Bag Case Organizer / Electronic Accessories Travel Organizer / Cable Stable with Cable Tie; Only the Case Included. Waterproof, Shockproof, Heavy-duty and Durable. Capable Dimension = Length * Width * Height = 6.1 inch * 3.6 inch * 1.7 inch. 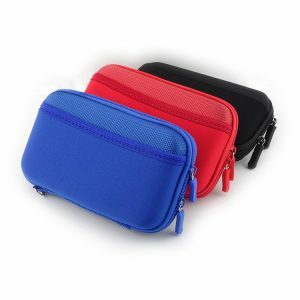 Easy Access Mesh Pockets Allow to Store and Carry Multiple Size USB Flash Drive, One Big Pocket Allows to Store and Carry the Hard Drive or Mobile Phone. 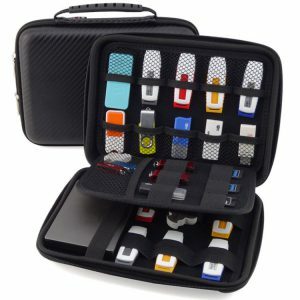 Designed Organizer to Carry the USB Flash Drive / Hard Drive / Electronic Accessories around. Simple, Cute and Classic Design. Easy to Be Put in Handbags or Backpacks. Very Easy Helper to Life Electronic Accessories Organize.